One of the first things people notice is your smile. 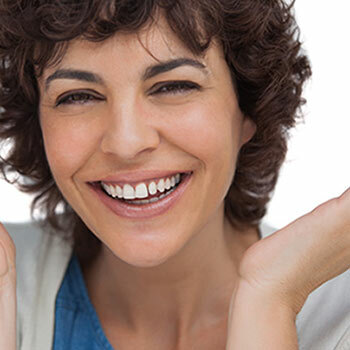 If chipped, stained, or crooked teeth are “hiding” the real you, it’s time for a smile make over. A beautiful smile can brighten your life every day, professionally and socially. And unlike plastic surgery, cosmetic dentistry isn’t a major operation. Imagine coming in for a single appointment or two, and emerging with the smile you’ve always wanted…no pain, no strain, no time taken away from your busy life. The results are immediate and dramatic. An attractive smile has been claimed to have a positive effect on one’s career, social life, and overall self-esteem. In fact, research has shown that even infants are drawn more to people with attractive smiles than to those generally perceived as unattractive. It is important that we acknowledge that the most basic feelings, instincts, and drives we have as human beings are driven, at least initially, by appearance. The appreciation of beauty is a uniquely human capability and plays a central role in all our lives and beauty is seen through a person’s smile. • Teeth Whitening: methods for whitening teeth range from inexpensive over-the-counter whitening strips to more expensive one-time light and bleach treatments performed in the dentist office. • Composite and Porcelain Tooth Veneers: veneers are thin layers of composite or porcelain that are bonded to the front of your teeth, usually to make them whiter. • Dental Implants: if you are missing teeth, dental implants are a permanent solution wherein an implant is placed in your jawbone to serve as a root and a tooth replacement is attached to the implant. • Dental Bonding: bonding is a procedure where some kind of composite material is bonded to teeth to reshape them, whiten them or to fix any other aesthetic problems. • Dental Bridges: bridges replace missing teeth and can be an alternative to dental implants. • Tooth Contouring and Reshaping: this can be done using different procedures, some already mentioned. Ask your dental professional about your situation to see what small changes can make a big difference. • Dentures: dentures are used to replace all or some teeth and can be removed. • Dental Fillings: today’s dental fillings are more than the typical metal fillings of our youth. Dental fillings are now color matched to the rest of your teeth for a great smile. • Dental Crowns: crowns are caps for your teeth that can be used for many purposes. My procedure was completed with my comfort and specific needs the primary focus. Fantastic experience!! Painless and quick crown with on-site lab... No temps. Walked out with a perfect crown in one visit! I was pleasantly surprised that the procedure did not hurt, and I was able to leave the same day with a permanent crown. I highly recommend Dr. Sam and am extremely happy with the experience. My experience was very pleasant. The care given made the treatment painless but most importantly the genuine interest in my total dental condition is appreciated. The Dentistry has the latest technology and innovation and is peopled by skilled professionals. It has a friendly and comforting atmosphere. Nobody likes to go to the dentist but the people of the Dentistry are tops.